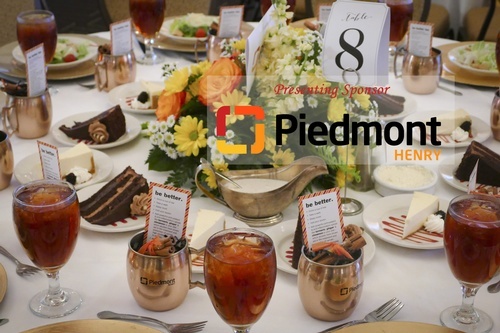 One of the most anticipated events of the year, the Henry County Chamber of Commerce Annual Awards Banquet & Meeting is dedicated to celebrating leading business owners and entrepreneurs, corporations and supplier diversity advocates, government and community leaders -- who demonstrate excellence in their support for the business community and through their accomplishments. Tables will go on sale in December, 2019 for one of the most anticipated events of the year, the Henry County Chamber of Commerce Annual Awards Banquet & Meeting. Individual tickets will go on sale on Tuesday, January 8, at a cost of $125 each. Award nominations for 2019 will be announced and accepted and the award winners will be revealed at the Annual Awards Dinner & Meeting on February 9, 2019. Bookmark this page for more information about the 2020 Annual Chamber Meeting and Dinner, click here.